Although hosting types like VPS and dedicated hosting are amongst the most commonly used by online businesses, many online storefront owners have utilized eCommerce hosting in the past because it provided features that were specifically designed for online retail business. For example, eCommerce hosting plans often advertised the inclusion of shopping cart and payment processing utilities that made it easier for your customers to place orders, and gave you the ability to accept a wide range of payment types for greater profits. If you’ve recently been shopping around online for an eCommerce hosting solution, then you’ve probably noticed that virtually all hosting providers have stopped offering what are known as ‘eCommerce’ hosting plans, and instead are now providing ‘business class’ plans instead. This industry change has come as a surprise to some, and has caused confusion in others. The following information attempts to explain why hosting companies are no longer offering eCommerce hosting plans, and what is replacing eCommerce hosting. In actuality eCommerce hosting plans, as they were called, were actually geared towards novice webmasters that needed an all-in-one solution for their online storefront aspirations. However,as major booms in the hosting market have declined slightly, and hosting companies have amassed a more steady and experienced client base, many people have stop purchasing eCommerce hosting plans. In essence, all of the features offered with eCommerce hosting plans can also now be found in business class, VPS and dedicated hosting plans. These features include shopping carts, payment processing capabilities, SSL certificates and store builders, all of which are being offered with conventional premium hosting plans. In fact, there is no discernible difference between eCommerce hosting plans and business class plans. One of the reasons why few are offering eCommerce hosting plans anymore is because of the concept of competition. When one hosting provider makes a change to their marketing and sales material, it is not uncommon to see all of the other major players in the industry follow suite. This is because hosting companies have to maintain certain similarities in order to compete. The term eCommerce is not as appealing to some as the term ‘business class’, hence the change. Likewise, when a company changes their prices, their competitor must also change their pricing in order to compete on an even level. It is not clear which company decided to eliminate eCommerce hosting plans first, but it is evident that the change was initiated by one pioneering hosting provider at the top of the chain, which inspired the competition to do the same. Since web hosting providers realize that the majority of webmasters are actually engaging in eCommerce, it became counter-intuitive to market eCommerce plans, which appeared as gimmicks to the trained eye. As more people began to notice the benefits of dedicated servers and VPS hosting, it became obvious that eCommerce hosting was simply a hyped up version of shared hosting with a few added features. Now, since eCommerce hosting plans are no longer being marketed by the major companies, business owners are turning to more powerful solutions like cloud VPS and dedicated hosting. 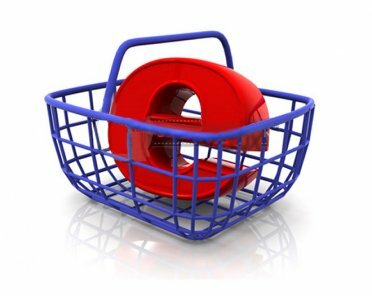 How Complete is Your E-commerce Solution?